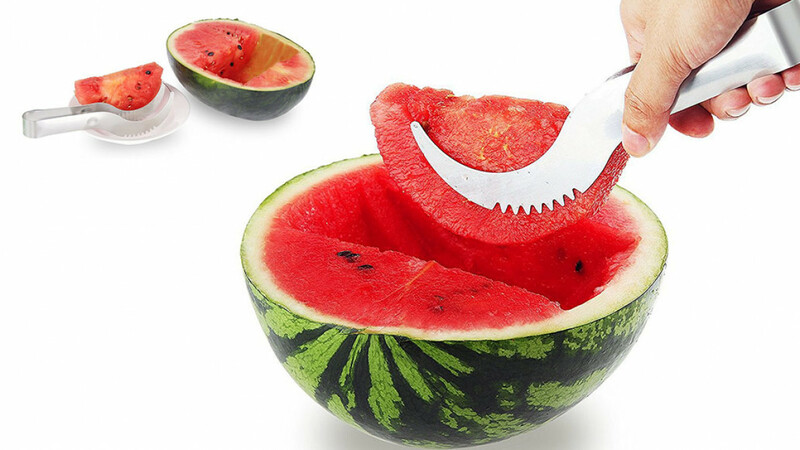 Cut perfect skinless slices of watermelon every time with this uniquely designed knife. Made especially to slice water melon neatly and easily. No messy juice to clean up all over your cutting surface and built tough so that you can use it over and over again. It can be used to slice, dice, cube and serve watermelon and also works very well with other melons such as rockmelon. Can also be used to easily slice and serve other food such as cake. Allows you to accurately slice pieces of similar size for serving and features an easy clean design for your convenience.